A simple solution for your TV without a large built-in installation. 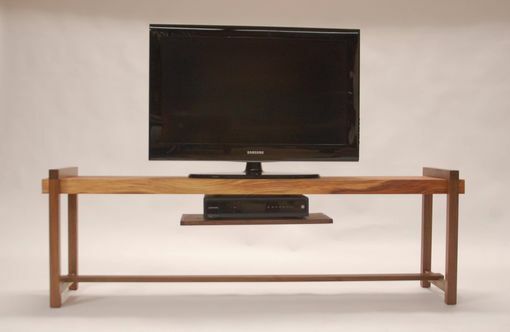 Floating shelf can be customized to fit your particular devices. 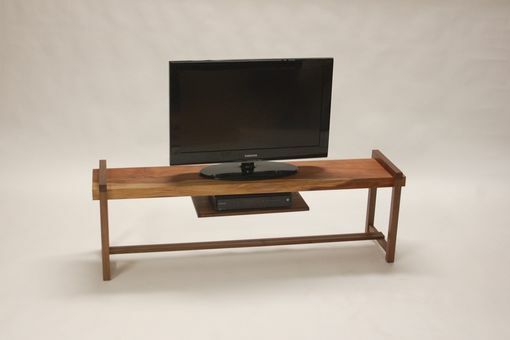 For this project I used a piece of reclaimed redwood and walnut for the legs.